When I first met her, I loved her. She’s a rare combination of youth and deep wisdom, in an angle’s face. Sometimes I know of all the right things to say and sometimes I am completely speechless ! 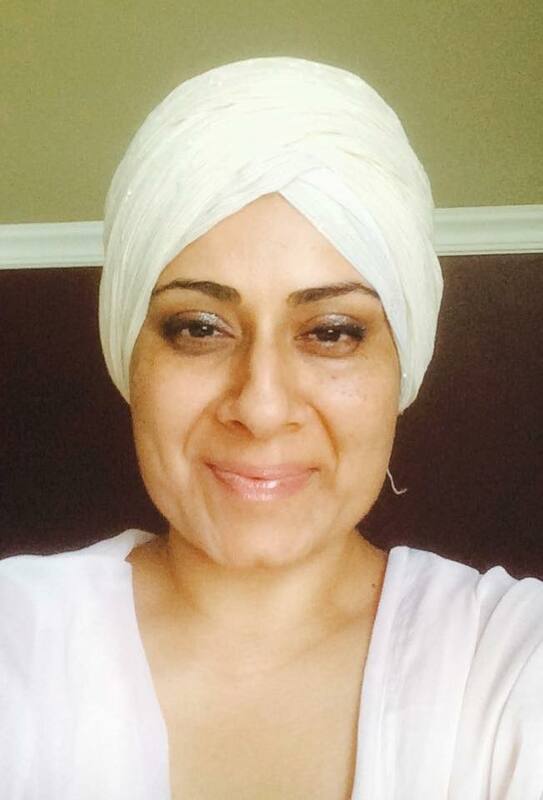 Let’s introduce her: Mona Saroya is a Kundalini Yoga teacher in the US. Her practice just looks like her : gracious, humble, inspiriting. Mona is talented beyond belief, and just a genuinely lovely person. And the beauty of it all, she wants to share it with you ! Thank you for so kindly sharing your amazing knowledge dear Mona. 1. What is the source of Kundalini Yoga, and Kundalini Yoga Kriyas: its philosophy, goals, and difference with other forms of Yoga ? Mona Saroya: Kundalini Yoga was brought over to the West in the late 1960’s by Master Kundalini Teacher, Yogi Bhajan. It is considered a Raj Yoga as it has all 8 limbs of Yoga into one practice, the meditation, breath technique, mantras and asanas. Kundalini means the curl of the lock of hair of the beloved. Kundalini Yoga was kept in secrecy for thousands of years and was only passed on from Master to chosen disciple. It originates from the Sikh Dharma, which is part of the current Aquarian Age. Kundalini Yoga is a science and the Yoga of awareness and experience; it helps to awaken you from inside. Other yoga styles are mainly focused on muscular/skeletal systems. Kundalini Yoga works on the muscular skeletal systems, but it also works on the Chakra System, the Endocrine System; Nervous System; Glandular System; Electromagnetic Field; and the ten bodies. The goal of Kundalini Yoga is to help awaken the full potential of an individual, so that they can fulfill their personal destiny and experience infinity. Kundalini Yoga to Wake Up. 2. The positions themselves seem to be relatively simple. Is that means that we can practice by our own ? Mona Saroya: Some positions yes are simple, but not all. Whether or not they are simple it is always best to have guidance from a certified “As taught by Yogi Bhajan” Kundalini Yoga teacher to do the exercises properly to attain optimal results. 3. Kundalini Yoga is a powerful science. We are talking here about the Kundalini awakening. Is everybody able to reach this point and what are the challenges and the difficulties for the practitioners in this journey ? Mona Saroya: Yes, Kundalini Yoga is an extremely powerful science. Everybody is able to attain the results of a Kundalini Awakening, but it varies from person to person depending upon their karmic ties, mind conditioning, and the ability for the Kundalini to channel through the Sushmuna (central energy channel, the spine). Every single human has the ability to awaken this energy within their being. 4. There are certainly dangers on the way. How to practice safely? Mona Saroya: If you are under the guidance of a certified Kundalini Teacher that is teaching, you can best believe that you are in good hands. However, even with the best teacher, your own body will tell you what feels right and what doesn’t. I always instruct my students to practice Ahimsa (non-violence) on the body. Meaning if something hurts, back off and dive into long deep breathing. Pain is not part of the equation for a Kundalini Yoga Practice. A student must be able to discern the difference between pain and stretching into a pose to create space and expansion in the body. Usually pain comes from a preexisting injury, and therefore, it is best to do long deep breathing or have the teacher offer an alternative (Yogi Bhajan never really offered the latter option as it changes the results of the Kriya). 5. What this means in practical terms: is that Kundalini Yoga can more quickly purify your energetic channels, chakras and awakening you in a fast track to spiritual growth and enlightenment ? In other words, can Kundalini Yoga help with Enlightenment? If so, how? Mona Saroya: Yes, of course Kundalini Yoga helps with attaining Enlightenment, because, you are rewiring the brain and creating new pathways in the mind, thereby decreasing deep seeded subconscious blocks from even lifetimes. We also use the Naad which is the sound current that is created when the practitioner is chanting a specific mantra, this activates vibrations and aligns you with the universal energy. 6. I suppose that the practice of Kundalini Yoga needs to be coupled with a specific lifestyle and preparation ? Mona Saroya: Well of course it would be helpful and aid in receiving optimal benefits of the practice if one lived a sattvic (cruelty free eating, without harming others or the self). Ishnaan or hydrotherapy (devotional bathing) using cold water to bath in everyday, which helps to open capillaries and also clears the mind and helps the glow of the skin. It is suggested for everyday use. Waking up early before sunrise to practice Sadhana (spiritual practice). 7. What happen when and if there is a premature awakening of Kundalini or excessive flow of Shakti (energy) before the body is ready to handle it ? Mona Saroya: When you practice Kundalini Yoga the body is prepared and nervous system is prepared, and correct breathing techniques are properly taught. So in essence there is no way for the body to not be able to handle it, with the proper instruction of course. Sat Kriya Rock Pose or Sat Kriya – Sat Nam Sat Kriya is one of the most powerful and complete postures/ mediation’s Yogi Bhajan taught. It is an entire Yoga class in one posture. Sat Kriya is fundamental to Kundalini yoga and should be practiced every day for at least 3 minutes. Its effects are numerous. 8. What are the symptoms of Kundalini Awakening ? And by way, what « Enlightenment » means exactly? is it the goal of every Yogi ? Mona Saroya: Yogi Bhajan was asked this question and he said that once the Kundalini Energy rises, it gives you grace of motion, you move with aliveness, life fills your every cell. Enlightenment to me means becoming aware of your truth. I don’t think it’s a goal per se as much as it is a side affect of having a regular and consistent spiritual practice. 9. In this form of Yoga the student nourishes a deep attitude of gratitude, including prayers. In addition, before doing Kundalini Yoga practice, you always start by asking for protection, guidance and inspiration. Is this ensures you to approach these cosmic forces with the correct state of mind and heart ? Mona Saroya: Well here you are referring to the beginning of each Kundalini Yoga class, yes, we do begin each class with tuning into the golden chain of teachers with the Adi Mantra. Adi Mantra connects you to the teachers that brought this teaching to earth; Yogi Bhajan; the teacher in front of you; the teachers of the future; and finally to your own inner teacher, your own guru. After we tune in to the teachers, we then proceed with the Mangala Charan Mantra for guidance and protection. With the Mangala Charan Mantra we bow and pay homage to the Primal wisdom, the wisdom through the ages, the true wisdom and the unseen wisdom. This mantra protects the magnetic field with protective light. So in essence, yes, you are setting up the mind and the heart to receive the practice with love and devotion and connecting with something much larger than your own self. 10. As a Kundalini teacher, did you experience the wave of Kundalini Shakti ? And if yes, how do you describe the power of this energy ? Could you talk about your own experience? Mona Saroya: To be honest, I believe I had a Kundalini Awakening long before I began Kundalini Yoga. My body was not ready for it, because I felt extreme heat in my solar plexus (navel) and all up my spine, my feet felt like they were on fire as well as my hands and face. It was back in 2004 when I first embarked on my journey into Yoga itself through Vinayasa style. It stayed like this for me at least six months. The heat obviously became less and less, but anytime somebody would mention something spiritual or anything to do with meditation, I could feel the surge of heat rising in my spine and solar plexus area. I did not have a teacher besides my TM (transcendental meditation) teacher, and she would tell me to focus on love and not be afraid. I couldn’t buy it because it was too weird and something I’ve never felt and I had no proper guidance. My elder sister thought I was going through menopause, and I was only 29 at the time. I couldn’t believe that either. After some months the intensity of the energy began to fizzle down, but to this day, even as I’m typing the answers here, and focusing on Kundalini Energy, I can feel my spine every so lightly begin to warm up along with my solar plexus region. I found out later on after trying to look up what all this is, that in fact my symptoms were that of an awakened Kundalini, but in a body that was not prepped for it. I wish I had known about Kundalini Yoga at that time, as I truly believe it would helped me navigate the energy so much better and perhaps even in a productive manner. 11. Did you develop your own method with your students? Mona Saroya: I do add some extra wordage to guide my students with poetry or spiritual readings to help enhance their experience, however, I stick strictly to the practice as it was taught by Yogi Bhajan, as we were taught to do in our training. We are advised not to change or alter any of the kriyas or meditations at all. 12. Could you share with us some important guidelines to analyse and balance chakras ? Mona Saroya: In Kundalini Yoga there are 8 chakras. 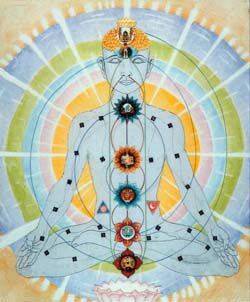 The first three chakras are considered the lower triangle, the upper triangle consists of the 5, 6 and 7th chakra. The middle chakra is the heart. The eighth chakra is the aura. Prana which is the life force of the human body is what powers the Chakras. When one does Kundalini Yoga, you help in clearing and balancing the Chakras which then helps the body, mind and spirit of an individual. Each chakra is governed by an organ, element, color, and quality. When you feel the shadow aspect of life, that is when you know that one or all of your chakras are out of balance. 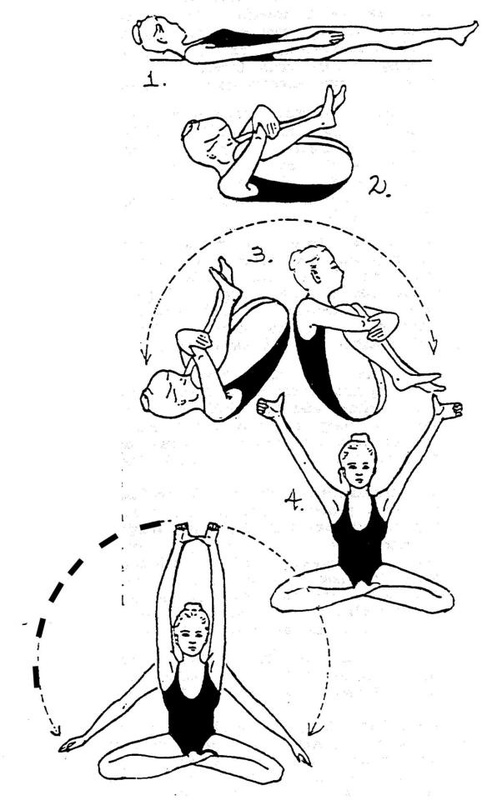 In Kundalini Yoga there are poses that can be done to bring the chakras back to balance by activating the chakras. You can also aid in balancing or strengthening the chakra by wearing the respective color related to that specific chakra. Previous In interview with… David Frawley, founder of the American Institute of Vedic Studies !